As Anakin Skywalker and Obi-Wan Kenobi lead Republic forces on Christophsis, their troops are ambushed and forced to retreat. Soon, it becomes clear that there’s a traitor among them, a spy giving Separatists information on the Republic’s every move. The more you consider the implications and nuances at play in this episode, the more it feels like a punch to the gut. 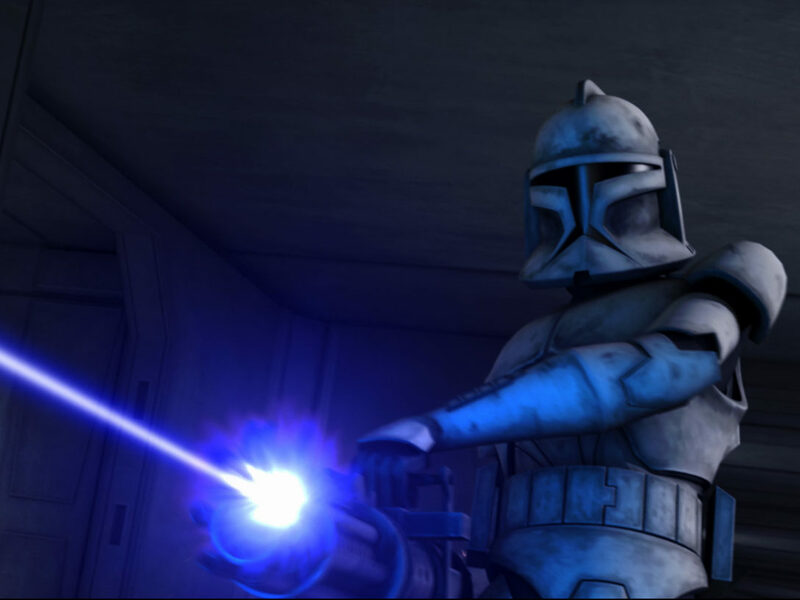 The betrayal of a clone soldier serves as a haunting bit of foreshadowing for the future Order 66, when the activation of the inhibitor chip would strip the clones of their free will and turn them into mindless Jedi murderers. For the clones, a turncoat is a deeply personal betrayal. Bred on Kamino as part of a Republic-backed program to raise and train an army, they seem interchangeable, genetically identical in every way. Their trust in each other should be unquestioning, as easily given as learning to trust themselves. 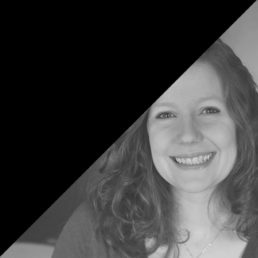 And yet…it’s clear that they’re seeking their own identity in the sea of indistinguishable faces staring back at them. 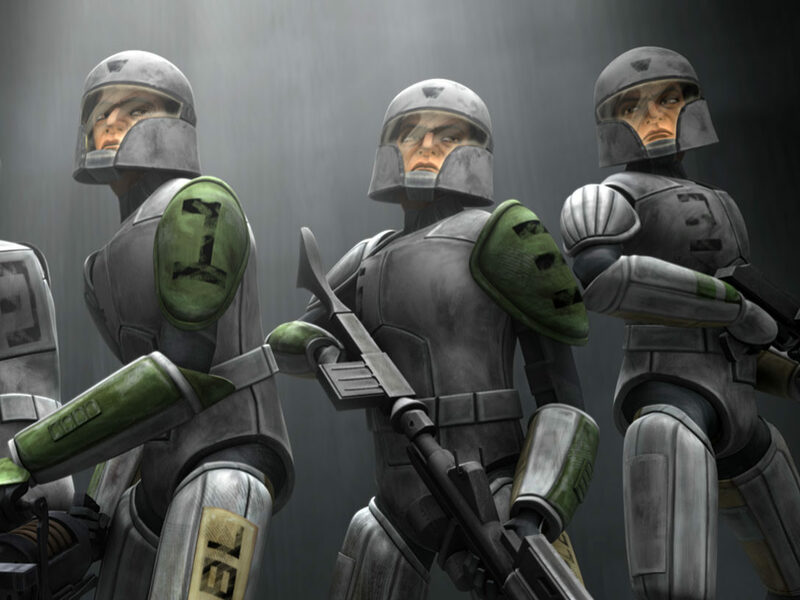 Although the clone army existed on film first, the series gave the troopers the chance to shine as individuals with unique personalities, haircuts, and traits that led them to personalize everything from their armor to their gunships. They’re brothers in arms. Soldiers. But they’re also human. 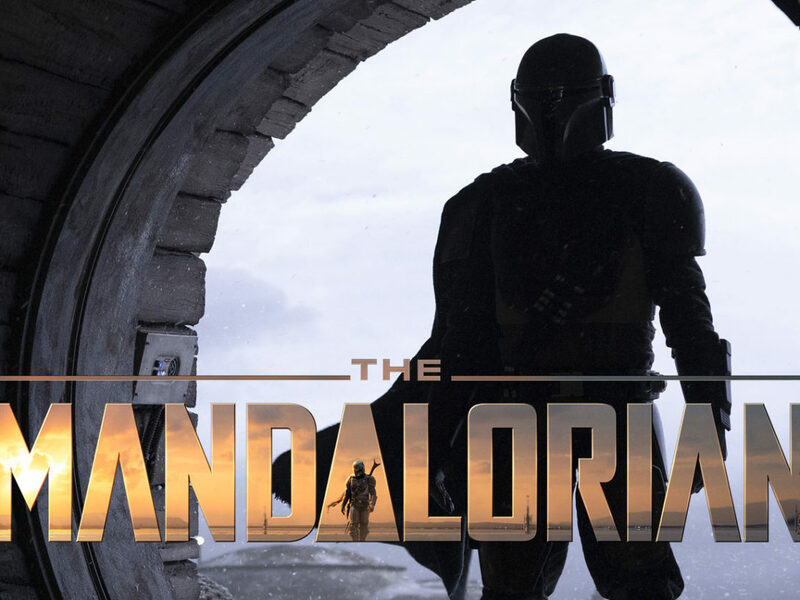 And among the ranks, something is pushing a few good men beyond the desire for individuality and onto a far darker path, one that breeds deception, inviting everything from the clandestine removal of droid fingers as trophies or the even more unforgivable crime of selling out their own side to the Separatists. 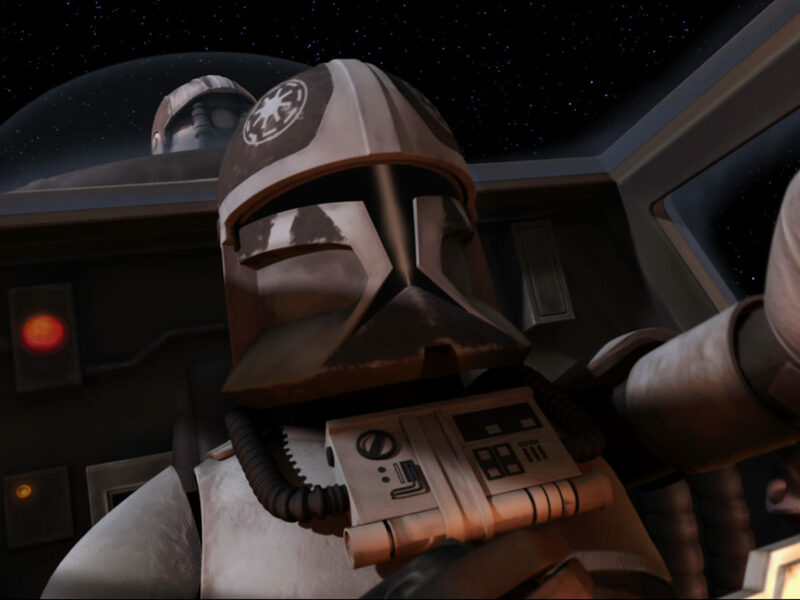 As Captain Rex and Commander Cody race to catch the traitor, the chase leads them to the mess hall and a daunting conclusion. “The only people in here…are brothers.” It’s hard for them to comprehend that a fellow clone could do such a thing. And yet, how quickly they begin to turn on each other, interrogating suspects and picking apart alibis, the investigation expertly severing bonds and eroding their trust from the inside out like a virus spreading. If the Separatists hoped to weaken their enemy, this psychological warfare will do far more damage than blades or blasters. An operative willing to limit his own army by taking out the weapons depot doesn’t hurt, either. Slick’s methods and training leave his fellow soldiers flailing. How do you fight an enemy who knows every move you’ll make before you make it? Slick is unquestioningly duplicitous, but from the words his brothers use to describe him, he’s been a by-the-book leader up to this point. 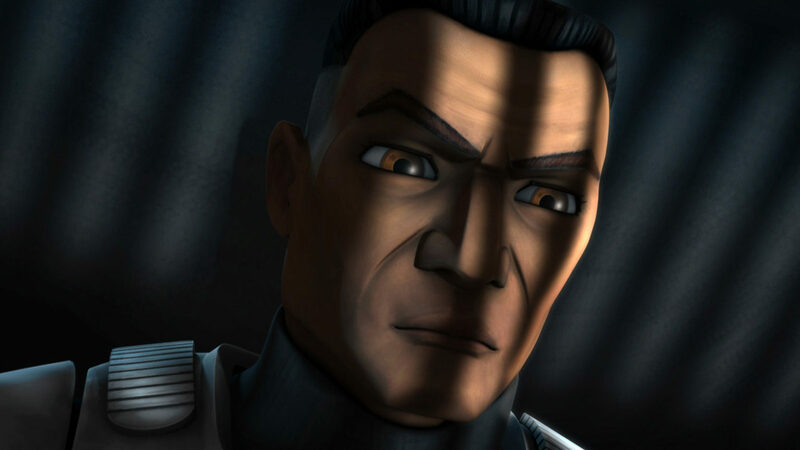 He’s followed orders, obeyed commands, all while watching his fellow clone troopers be treated as expendable, easily replaced casualties of a war led by the Jedi overlords he feels are enslaving his people. 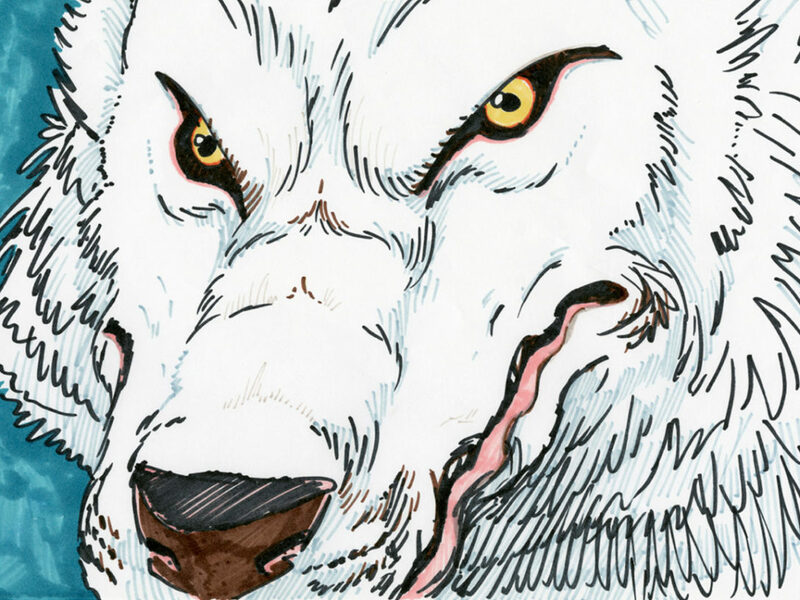 Born to fight — to die, really, — a number in an army where everyone has the same face, the same voice, he sought to be free, assert his personal agency. When he takes matters into his own hands, he thinks he’s doing the right thing for all clone kind, yet another moment where Star Wars invites us to consider, if just for a moment, how right and wrong can drastically shift from a certain point of view. Slick’s betrayal invites comparison to another, more willing, participant in Order 66 — Darth Vader. As Anakin turns, the good man he was ceases to exist and is replaced by a murderous Sith Lord who would cut down his brothers in the Jedi Order (and the younglings, too). 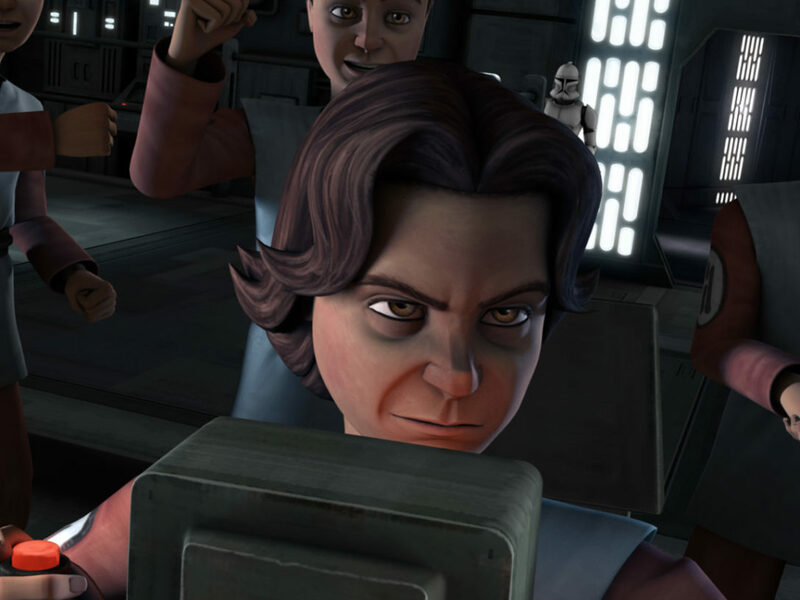 Slick’s betrayal is unthinkable to his clone brothers, just as Anakin’s turn to evil stuns his brother Obi-Wan. And while Slick believes he’s sold his brothers out for freedom; Anakin turns, ostensibly, to save the person he loves most in the galaxy. 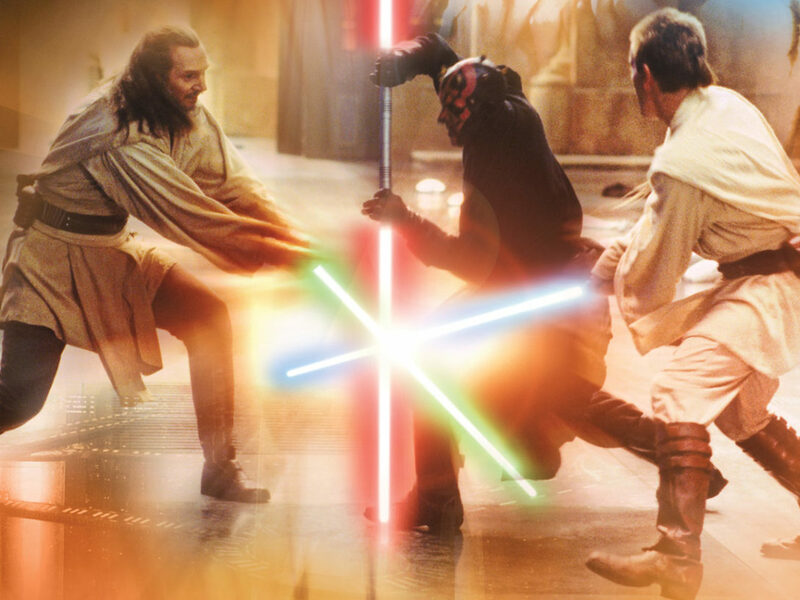 Watching in chronological order, the episode also gives us the first of many gravity-defying lightsaber duels. 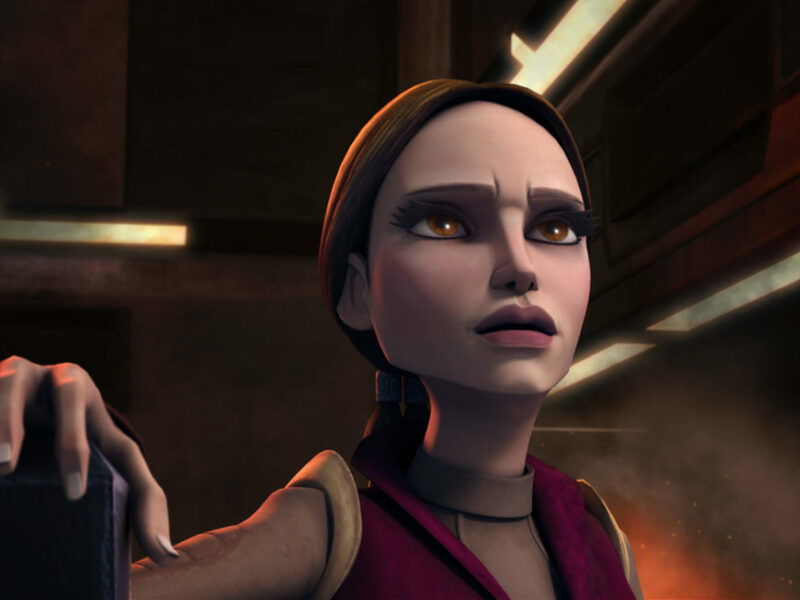 Here, we meet the assassin Ventress, prowling around taunting and teasing Obi-Wan as she spars with not one, but two lightsaber-wielding Jedi. “So hard to know who to trust these days, isn’t it?” she purrs. “Poor Obi-Wan. You’ve been betrayed.” If you’re watching for the first time, you will have only just met this mysterious and multifaceted character, but she is undoubtedly one of my favorites from the show. Over time, she will prove that despite her unconventionally wicked appearance and sassy retorts, she’s one of the most complex characters in the series and one who suffers her own heartbreak at the hands of a master. But for now, the fight rages on…with about a thousand battle droids on their way to the Battle of Christophsis! Originally, Sergeant Slick was going to have red hair, but the character was rendered with the standard clone coloration. Ultimately, the choice helps him blend in rather than stand out as obviously uncommon, making the reveal more of a surprise. If the music during the clone brawl fight scene sounds familiar, that’s because it’s a variation of the speeder chase composition in Attack of the Clones. Next up: Come back Thursday as we meet Ahsoka Tano and discuss the beginning of the Star Wars: The Clone Wars theatrical release.